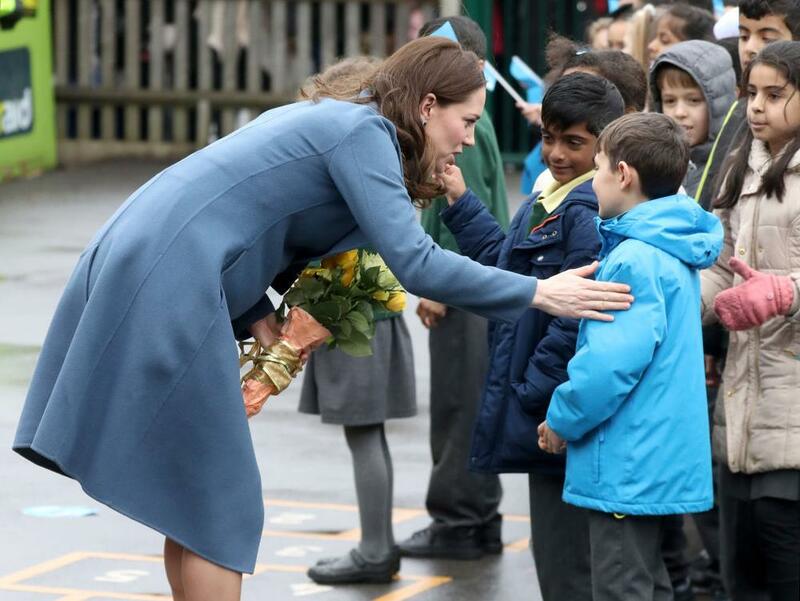 The Duchess of Cambridge is continuing her work of boosting mental health in young people by launching a new school programme. 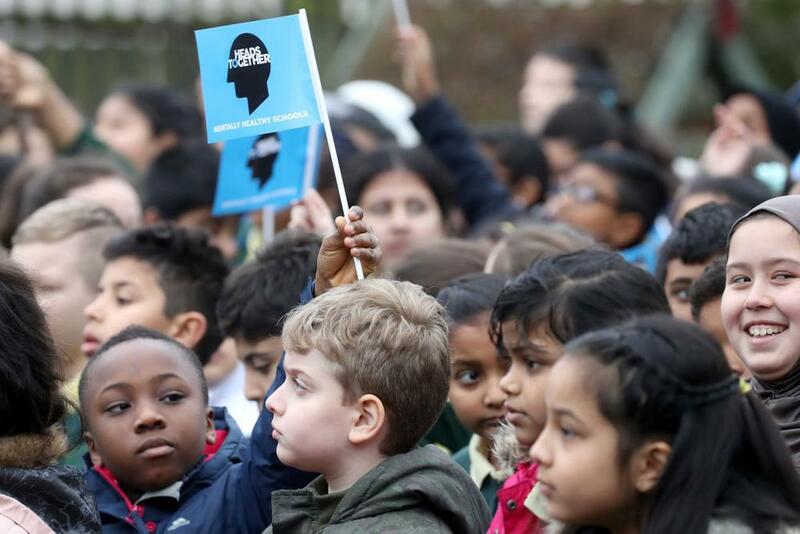 She visited Roe Green Junior School in North-West London on January 23, 2018 in London, England to launch a programme that supports children’s mental health at school. 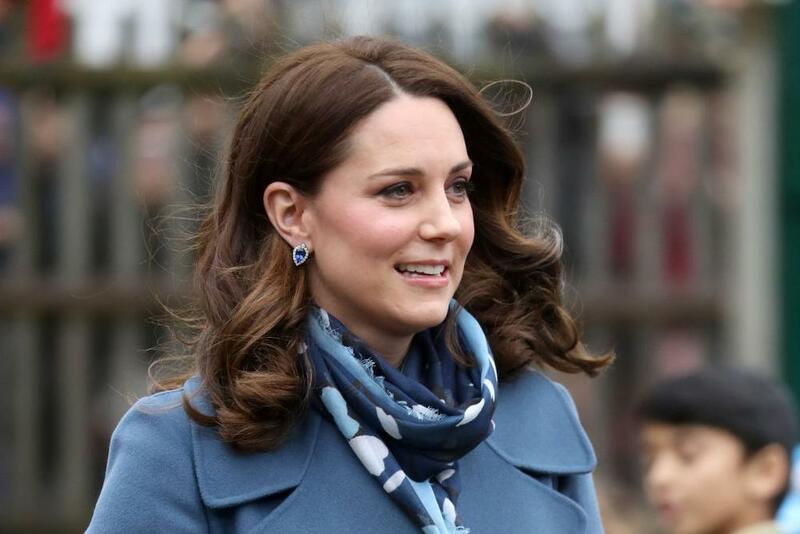 For the outing she looked gorgeous in a blue maternity dress, blue coat, blue print scarf, tanzanite earrings and navy blue heels. 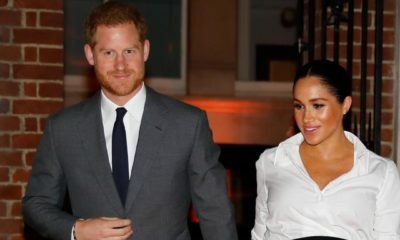 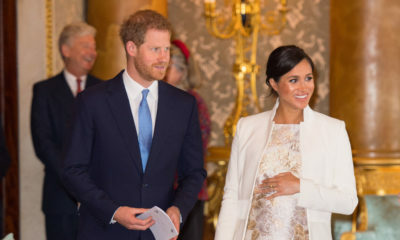 The Duchess is currently six months pregnant with her third child.